There are numerous physical causes for both female and male infertility. In many cases, the underlying reasons for the unwanted childlessness can be identified through targeted examinations as part of a comprehensive evaluation by a medical specialist. Thanks to a wide range of treatment options in reproductive medicine, the next steps on the way to the desired child can be determined individually. 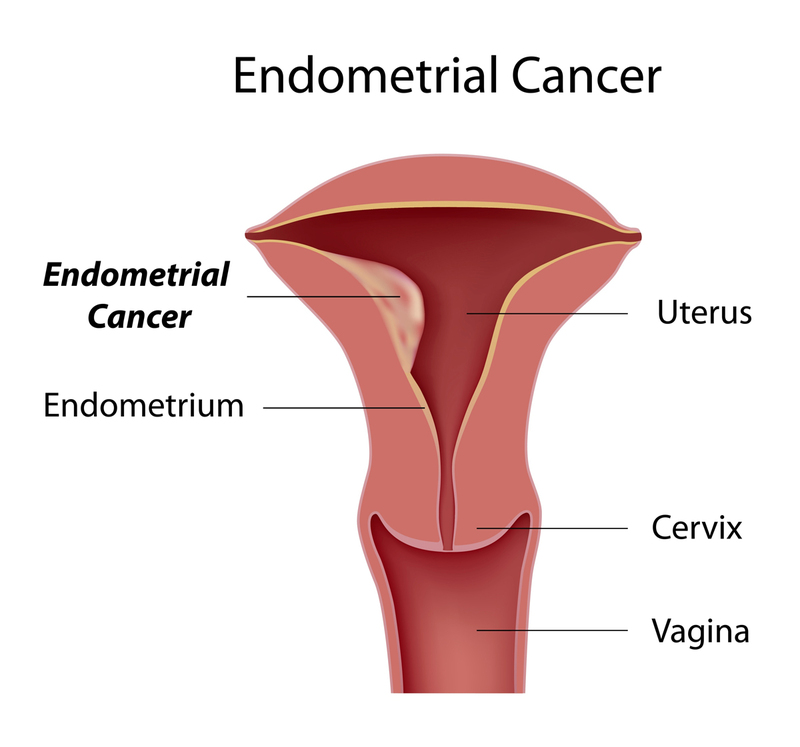 Endometriosis is a condition where tissue that behaves like or even originates from the lining of the womb (endometrium) is found outside the uterus. Endometriosis can be very painful (and often goes along with pain intervals corresponding to the women’s cycle, period pains and even migraines in cases where sites of endometriosis are found in the area of the head). Endometriosis has the capacity to spread to various parts of the body and proliferate and, depending on the localization, may lead to sub-fertility, i.e. the woman is not per se infertile, but she may have trouble conceiving. What are the reasons for endometriosis-related subfertility? Endometriosis of the ovary may impact on the maturation and quality of the oocytes and can even lead to the loss of follicles. One can imagine it like a skin irritation (dermatitis): the skin is often dry and chapped and easily vulnerable, the inflamed area cannot always be clearly distinguished from the surrounding skin. This is similar to ovarian endometriosis. Thus, the affected area cannot be clearly distinguished from surrounding tissue and endometrial implants are often found in the ovary. In most cases, it is not possible to surgically remove diseased tissue without causing permanent damage to healthy ovarian tissue and destroying the follicles contained therein. Endometriosis of the fallopian tubes can impair the transport of the fertilized egg to the womb. 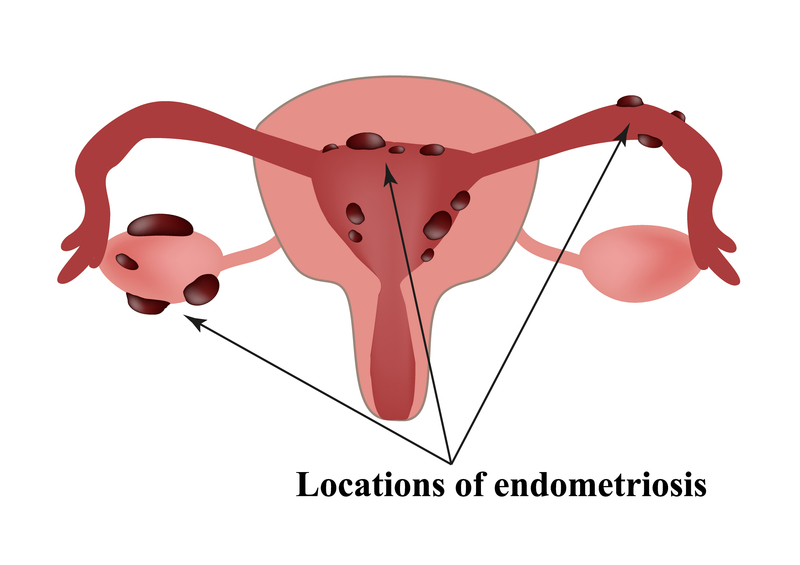 Adenomyosis is a particular form of endometriosis. These are benign growths within the uterine wall which may negatively impact on the growth of the mucous membrane. During the menstrual cycle of a healthy woman, about 4-7 follicles inside the ovary (2 ovaries = 8-14 follicles) struggle to achieve dominance. A dominant mature follicle which contains a mature ovum grows out of a pool of immature follicles. If more than these 8-14 immature oocytes are present inside the ovary (a considerable number of women are affected by this condition), too many follicles struggle to achieve dominance, thus hindering each other in their development. Consequently, there are hardly any follicles reaching maturity. 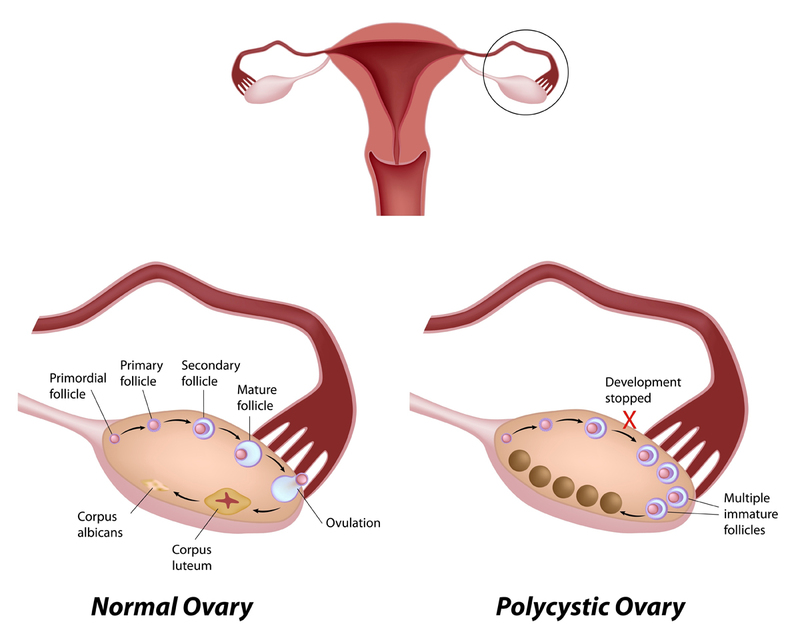 This, in combination with other factors, is referred to as PCO syndrome (polycystic ovarian syndrome). After ovulation, the oocyte is pushed along by the tiny hairs (fimbria) inside the fallopian tubes’ lining towards the uterus. While travelling through the tube, fertilization of the oocyte by a sperm takes place. Measurements show that in addition to propelling themselves forward, sperm transport is also supported by uterine contractions. 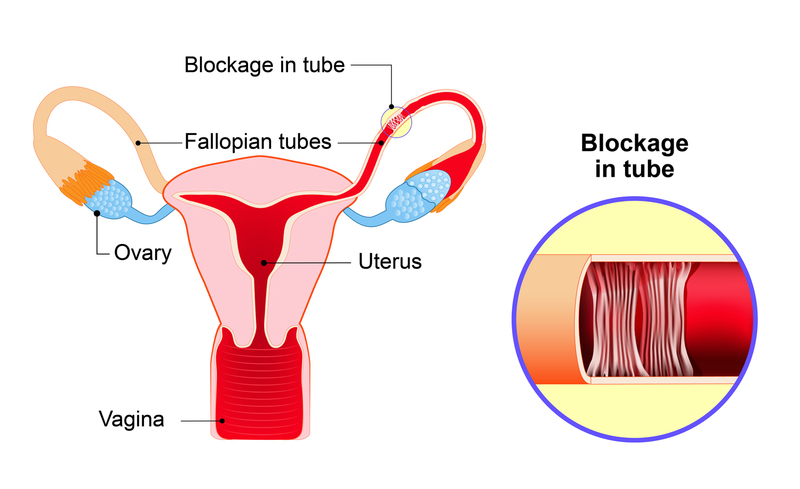 In the case of tubal blockage or tubal “injury” (i.e. the tiny hairs are damaged) neither the egg nor the sperm cell is able to continue their way. What are the reasons for impaired tubal function? Inflammations (such as an ascending chlamydia infection or an infection in the region of the fallopian tubes) may lead to “adhesions” inside the tubes which may affect their functionality. But as described above, endometriosis, too, may affect normal tubal function. When a mature follicle bursts open and releases the egg, some of the follicle cells develop into the so-called corpus luteum which produces the hormone progesterone. This hormone is essential for the development of the embryo during the first weeks. Owing to various factors, some women present with corpus luteum deficiency. Among these factors for example count the woman’s age or unhealthy lifestyle habits (smoking). The “weakness” of the corpus luteum can be compared to weaknesses affecting the human body: Some people are affected by visual impairment (“weak eyes”), while others suffer from a weakened heart. In some people such disorders manifest themselves early in life, while others are not affected at all. This can be explained using a comparison: Uterine malformations, benign growths of the uterus musculature (myomas) or benign growths of the uterine lining (polyps) are comparable with a farmer’s farmland: If the soil intended for the raising of crops (=embryo) is located in unfavorable sloping terrain (=malformations) with stones (=myomas) or undergrowth (=polyps), the seeds will develop either poorly or not at all. Malignant growths may require the use of drug therapy (chemotherapy) or radiotherapy. Problem: these medications or radiations may damage the egg cells. In most cases where the cancer affects the ovary or the uterus itself, surgery is used to remedy the situation. These surgical interventions usually have a considerable impact on the ability to reproduce, which means reduced fertility or even permanent sterility.